This is a great easy breakfast dish you can easily adapt and change. The traditional one has no fruit but when you add fruit it makes it really come alive. Here I’m using up garden fruits I had left over. It’s very like a sweet Yorkshire pudding and cooked in a similar way. 2. Whisk together the flour, eggs, milk, sugar and almond (or vanilla) essence till smooth. 3. Place the butter in a 20-23 cm skillet (or oven dish). 4. Place the skillet in the oven and let the butter melt. 5. Once melted pour the mixture batter into the skillet and sprinkle the fruit onto the top. 6. Place the skillet back in the oven and cook for around 20 minutes until the edges are golden. 7. Turn the oven down to 150 degrees and cook for a further 5 minutes. 8. 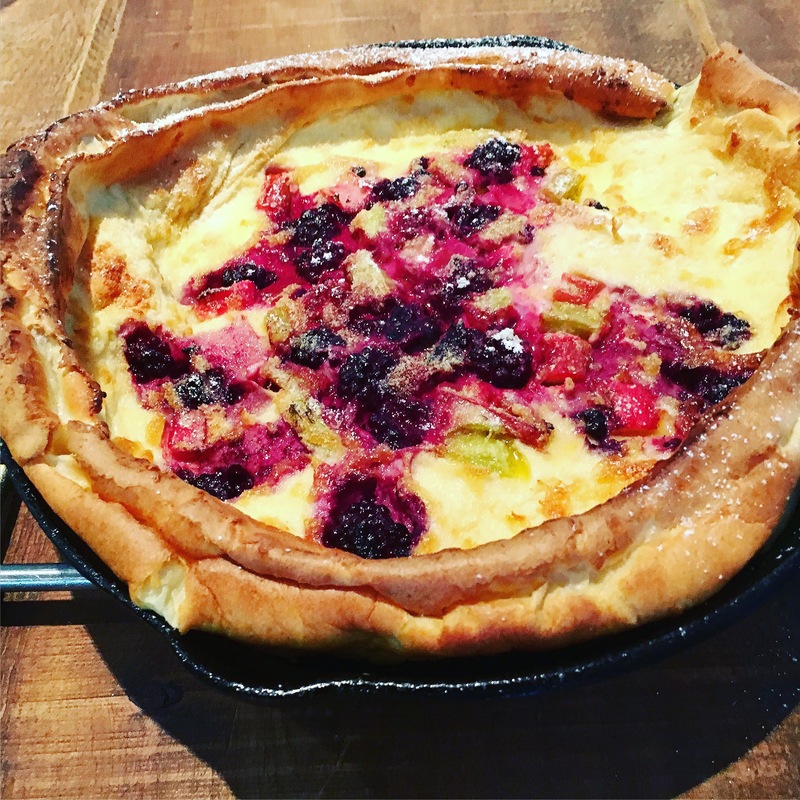 Remove the skillet from the oven dust the Dutch Baby with Icing sugar and serve. Note- the Dutch Baby will start to shrink slightly once it’s out of the oven. This is perfectly normal.